In reaction to the above Chinese data, copper prices broke above a short-term corrective trend. 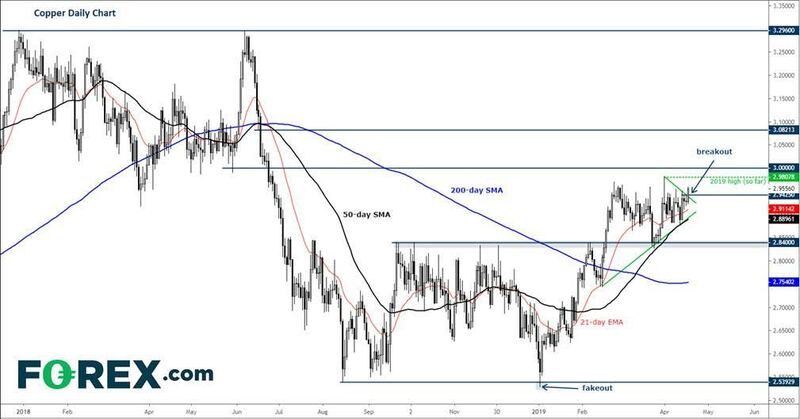 The breakout, if sustained, could precede further technical buying given the overall bullish trend with copper holding above its 21, 50 and 200 daily moving averages and given the higher lows. The base of the breakout was around 294.50, so this level is going to be the key support to watch going forward. The first bullish objective is now this year's high at 298.50ish hit at the end of last month, with 300.00 being the subsequent target.